Baby Shower is a great way to show your expecting friend your love and provide her with support she needs during this unknown and sometimes scary period. Also, it is a great opportunity to supply expectant mother with everything that she might need before or when the baby arrives. 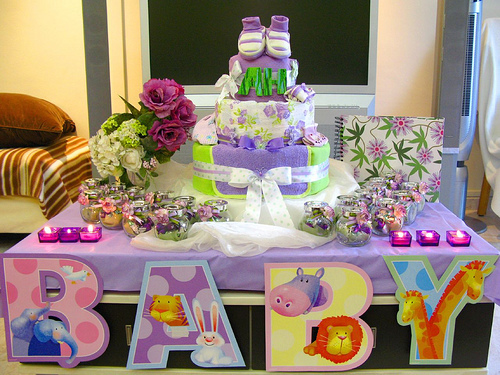 Baby Shower is a fun and exciting celebration of new beginning and expectation of a new life. During Baby Showers it is common practice to play fun “pregnancy” themed games, give presents, chat with the girls, share funny stories, drink and eat. Although there are no particularly strict etiquette rules concerning Baby Shower, you still need to consider the following etiquette tips. – During Baby Shower everyone’s attention should be pointed to a future Mom-To-Be. There should be at least one person among the guests, who will be keeping an eye on her and makes sure she always have water to drink, some of her favorite snacks and comfortable chair. Although, the expectant mother might feel great and could take care of herself, it is always nice to receive a lot of care and attention. – As almost all expectant mothers can get tired quickly, it is advised to have Baby Shower which will last around 2 hours. – It is better to organize Baby Shower 2 months before the due date and there are certain reasons for that. First of all chances are that the closer to the due date the more exhausted and anxious the expectant mother will become, also there is always a chance of early delivery. And the other more practical reason is that expectant parents will have more time to return and exchange some gifts which they didn’t like or need, as well as buy things that they haven’t received as gifts. 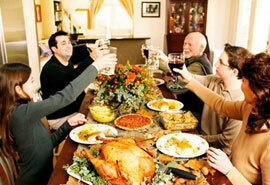 – Usually Baby Showers are organized and taken care of by friends of expectant mother. Friends organize and pay for the location, invitations, food, drinks, decide on the theme of the party (if any) and entertainment. Mom-To-Be should be always consulted if in doubt or to make sure you meet her expectations. – Baby Showers are usually girls only events, where future father can join in closer to the end of the celebration, but make sure you consult expectant mother of what kind of guests she wants to see during Baby Shower. Maybe she will want to invite her friends with their significant others, children etc. – It is always better to give practical and useful gifts to future parents. Check if they created a gift registry for their baby and make sure to buy something from this list. – There is no specific price range for the gifts appropriate on Baby Showers, you can buy a present for $5 or as expensive as you want. – Expectant mother should open all gifts during Baby Shower, so everyone could participate in the fun. Do you have questions about Baby Shower or you think we forgot to mention something important? Come talk to us! Leave your comment below!